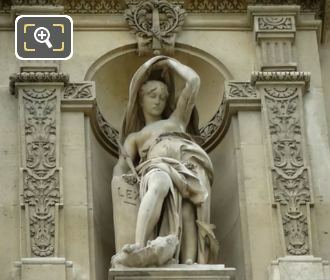 Again we were at Musee du Louvre within the courtyard called the Cour du Carrousel, when we took these high definition photos showing the statue La Loi, which was sculpted by Jules Isadore Lafrance. La Loi is actually an allegory statue and in English the name translates to The Law, and when you are within the courtyard in the 1st Arrondissement of Paris, you will be able to view the statue on the north side of the Pavillon de Flore, but as you can tell from this image, you do have to look up. 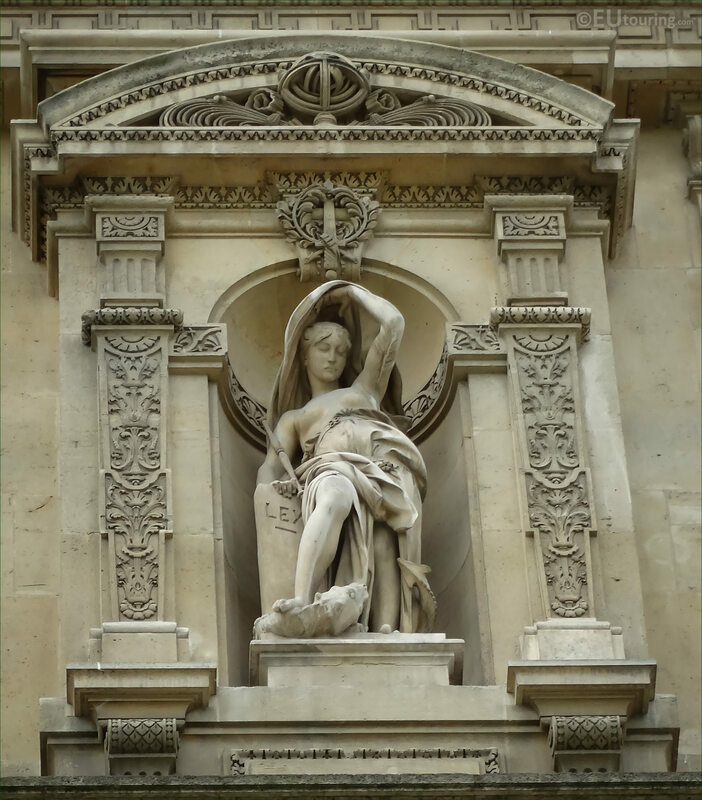 So, you will find this statue situated on the second level of the pavilion within a niche, and it was the work of the French sculptor Jules Isidore Lafrance, who also sculpted the allegorical statue below this one of The Law. 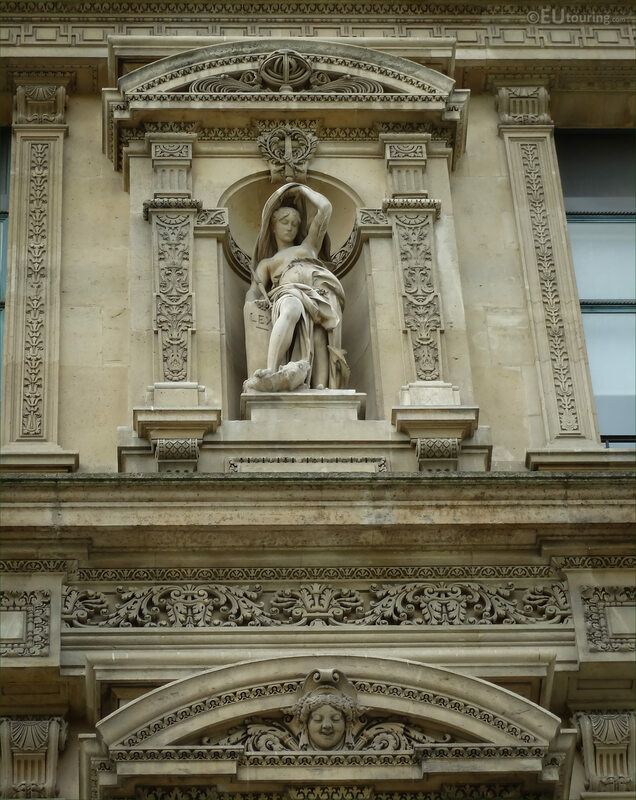 And although Lafrance had a successful career, even being awarded the Legion of Honour, unfortunately his health was not good, and he died at the age of 40 in the January of 1881, not even five years after La Loi statue was completed and put in place during the decorative embellishments being made to The Louvre.